It was so amazing to escape to our log cabin and unwind in the hot tub taking in the amazing lake views all around. Whether you’re planning a romantic trip for two or a much-needed family holiday to spend quality time with the people you love, our Finnish cottages with hot tubs are a sumptuous choice for luxury holiday seekers. 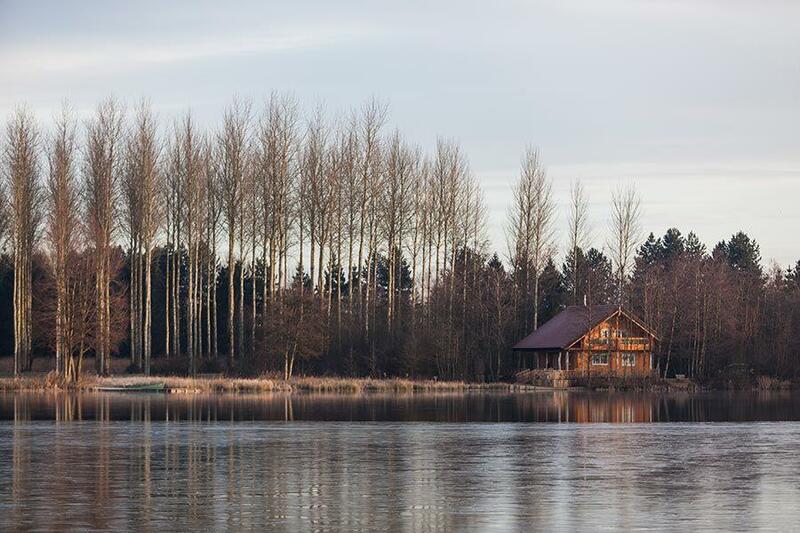 Each of our 8 log cabins are thoughtfully dotted around our private 100 acre lake and feature their own eco-friendly outdoor hot tub, suitable for all weather use. You’ll also have a large outdoor decking area with table and chairs which are perfect for al fresco dining, plus an outdoor BBQ, private beach and fire pit, and your own jetty with private rowing boat to explore the lake with. So you can truly make the most of the beautiful outdoors. Each cabin has also been lavishly appointed with irreplaceable antiques and homely soft furnishings to make your stay as comfortable as possible. Summer bliss or winter warmer; it doesn’t matter what time of year you plan your getaway at our private reserve. Our hot tubs are perfect for any season, and there’s never a bad time to take a dip whilst enjoying panoramic views of our peaceful spring fed lake. Our traditional wooden hot tubs are heated to a perfect 39°C all year round so you can jump in no matter the weather. In fact, one of our favourite times of year is during the cold crisp spells of winter when the draw of the steaming hot tub will have you tip-toeing across the wooden decking for some therapeutic indulgence. It’s a magical time. When you’re done, don’t forget you can dry off by the indoor wood burner or relax with a book or board game from the mini library inside your cabin. Our remote hot tub log cabins are ideal for a private spa weekend and we can help you arrange a 5 star luxury spa experience with My Personal Sanctuary, offering a whole range of organic treatments to choose from. For the ultimate pampering, we can even help out with all the amazing extras you would expect from an exclusive hotel, such as plush spa robes, heated pool and sauna (available in Mayo Landing only), in-cabin catering, or champagne and chocolates on arrival for that extra special touch. But unlike a hotel, each of our carefully hidden cabins offers ultimate peace and quiet with no other cottages in sight – perfect for relaxation. For something a little more active, we can also help you arrange bicycles, kayaks or paddle boards – and you can check out our Ultimate Guide to the Cotswolds for fun things to do in the nearby area.